Just thought I'd check in with those of you taking part in the 40 in 40 challenge. It's really cool to see this thing taking off. The great part about it is, it's all up to you if you want to do it. I believe there are about 7-8 others purging their extras and getting rid of that clutter. There is always time to join! Here is what I got accomplished today. Old Spice Tack, gift wrapping extras, placemats, etc. Cake platter, vases, old linens, and other glass. I would have liked to have done more, but little guy was cutting some teeth and needed me today. :) So, we had a popcorn date in mis-matching outfits and watched the equestrian portion of the London Olympics. He was fascinated with their jumping. How many bags have you gotten packed up and ready to go? Want to join the challenge? Read about it here! Adding to my pictures, I had to include my friend Amy's bag situation & my friend Jessica's. You put these women to a task and they're on it! In 2 days, combined we have has 36 bags! 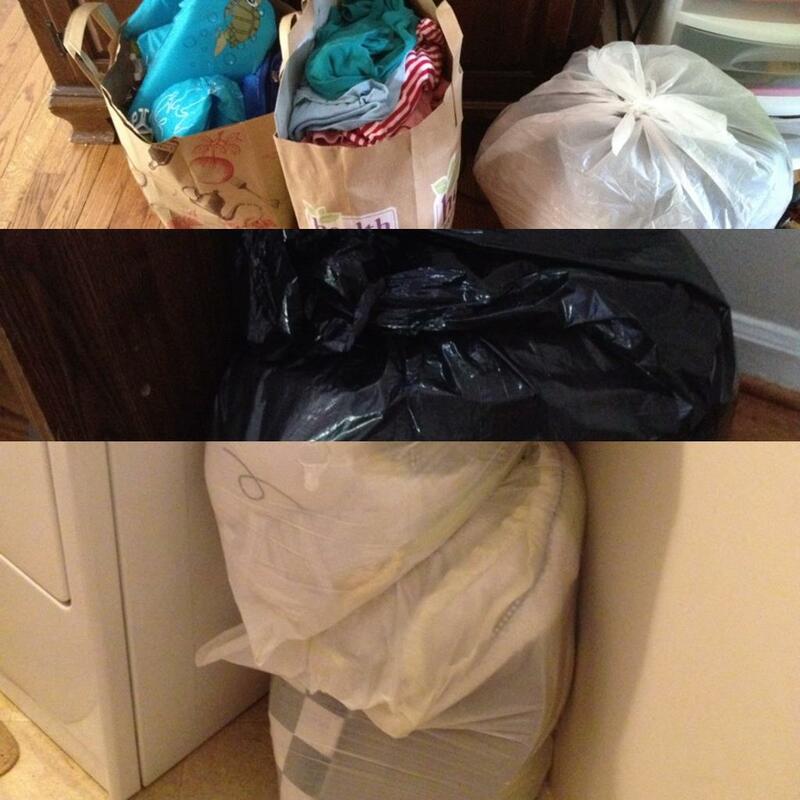 Amy's 22 bags in 2 days!